The man who invented the tubular Pringles can was Fredric J. Baur. He died on May, 4, 2008 in Cincinnati, Ohio, at the age of 89. 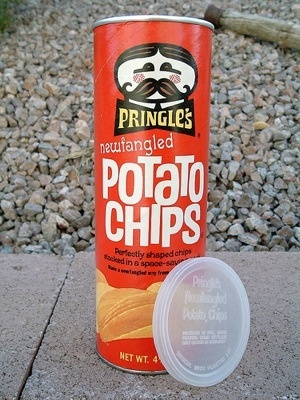 The proud inventor requested that his cremated ashes be buried in a Pringles can.